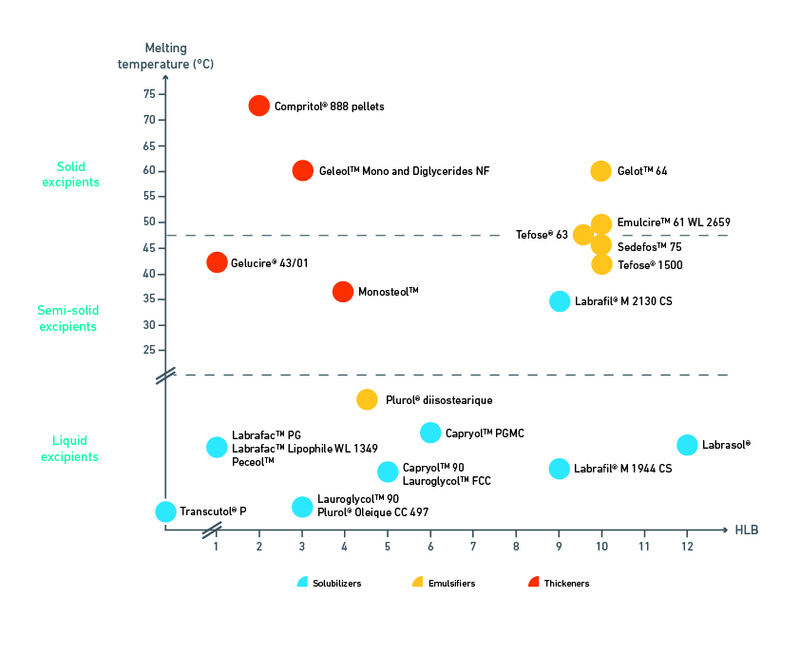 Lipid excipients for oral drug delivery include high to low HLB solubility and bioavailability enhancers, lubricants, modified-release, taste-masking and API protection agents. 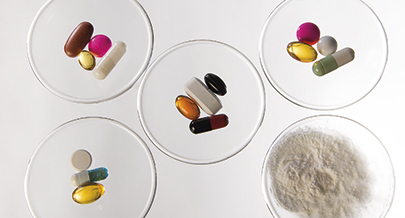 Excipients are used in a variety of processes enabling the formulation of different dosage forms, mainly tablets and granules; hard and soft capsules. 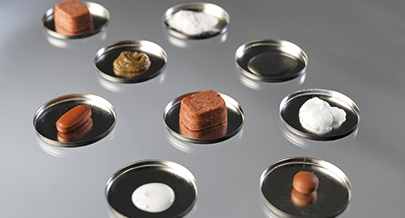 For information on excipient functionality and formulation with different processes please see the Formulation Technologies section. Geleol™ Mono and Diglycerides NF. Lipid excipients for topical drug delivery include solubilizers, emulsifiers and viscosity modifying agents. Emulsifiers are designed for challenging formulations and deliver excellent texture and sensorial properties. Solubilizers provide skin penetration enhancement and viscosity agents stabilize formulations. 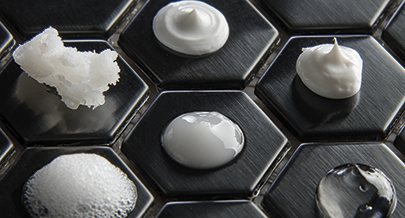 Excipients are used in creams, emulgels, lotions, foams, microemulsions and gels. For information on excipient application and formulation processes please see the Formulation Technologies section. Lipid excipients for suppository and pessary formulation include hard fat and hard fat with additives. These bases provide excellent physico-chemical stability and drug delivery properties covering a wide range of API, including bases optimized for the formulation of Traditional Chinese Medicines. 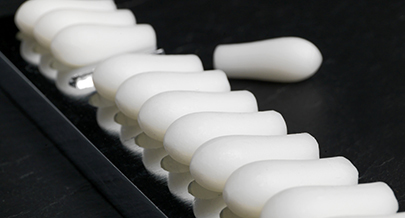 For information on excipient application and formulation processes please see the Formulation Technologies section. 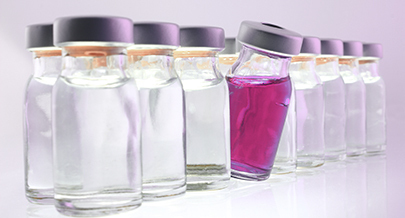 Lipid excipients used in veterinary medicines include solubilizers and oily vehicles for injectable, pour-on, spot-on and auricular dosage forms. Excipients are also used in topical ointments, gels, oral solutions, pastes and tablets for both domestic and food producing animals. With excellent functionality, safety and tolerability these excipients enable innovation in veterinary dosage forms. Contact Gattefossé to get information on the parenteral use of lipid excipients.